BLAWGDOG: Would Google.CN be a "Non-Search Engine" Site? 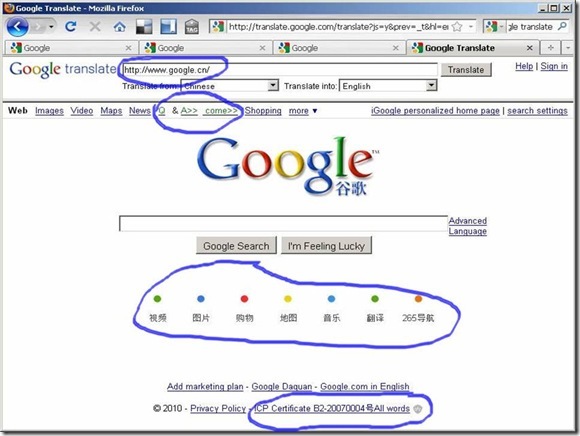 Would Google.CN be a "Non-Search Engine" Site? Regardless the political concern of Chinese authority, the current web page at GOOGLE.CN and the above announcement can be described as a smart lawyering thing. 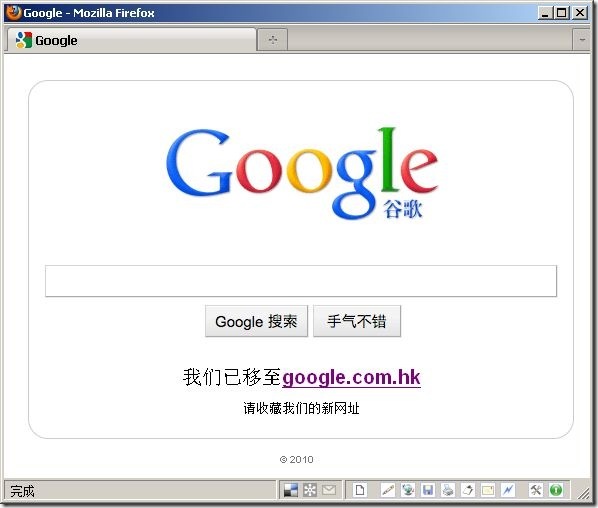 By this change, Google may claim that GOOGLE.CN is not using the prohibited URL forwarding technology. And because the linked page (google.com.hk) has nothing but a blank search box and some links for the “Google.cn services like music and text translate”, Google is hardly to be condemned as an “illegal” or an “unmoral” one even in the tone of Chinese offical news agencies. Second, Google wish to “offer unfiltered search in simplified Chinese”, but please be careful, Google does not say whether such unfiltered search will be available on mainland China, or at least available through Google.CN. Technically, language preference can be individually adjusted by any user in any Google account at any Google’s gTLD domain name. Therefore, Google will definitely continue to offer such service no matter China block Google.cn or not. Or, to some extrem, Google China (which is by law an independent Chinese company) may even continue to use Google.cn as an entrence of thlse Chinese Google services, while (if not too weird) such page may not include a search engine unless you log in with your Google.com account (which is a service provided by a foreign company). By the way, the similiar situation has actually been happening for a long time - Google.CN has never provided E-mail service.